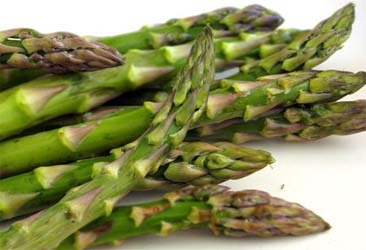 “Asparagus inspires gentle thoughts.” ~Charles Lamb, English essayist. “Playwrights are like men who have been dining for a month in an Indian restaurant. After eating curry night after night, they deny the existence of asparagus.” ~ Peter Ustinov, English actor, dramatist and writer. “Erection is chiefly caused by parsnips, artichokes, turnips, asparagus, candied ginger, acorns bruised to a powder drunk in muscatel.” ~ Aristotle, Greek philosopher, scientist and physician. “Work! Labour the asparagus me of life; the one great sacrament of humanity from which all other things flow – security, leisure, joy, art, literature, even divinity itself.” ~ Sean O’Casey, Irish playwright. “After 20 annual visits, I am still surprised each time I return to see this giant asparagus bed of alabaster and rose and green skyscrapers.” ~ Cecil Beaton, English photographer and theatrical designer. “You needn’t tell me that a man who doesn’t love oysters and asparagus and good wines has got a soul or a stomach either. He’s simply got the instinct for being unhappy highly developed.” ~ Hector Hugh Munro, British writer. “Are you casting asparagus on my cooking?” ~ Curly Howard, American comedian and vaudevillian. “I was doing stand-up at a restaurant and there was a chalkboard on the street out front. It said, ”Soup of the Day: Cream of Asparagus.” ~ Ellen DeGeneres, American actress and stand-up comedian. “You know, when you get your first asparagus, or your first acorn squash, or your first really good tomato of the season, those are the moments that define the cook’s year. I get more excited by that than anything else.” ~ Mario Batali, American chef, writer, restaurateur and media personality.